These three terms give many hospital administrators heartburn. How do we manage the inpatient and outpatient business with less dollars and still manage to meet the needs of the ACA, Population Health and Clinical Integration? This article describes some techniques to assist with improving outcomes by utilizing a ambulatory infusion centers. - But what does infusion therapy have to do with managing a hospital, improving the health of the population or the accountable care act for that matter? The answer is that all three can be enhanced by developing a deliberate approach to hospital Based Outpatient Department Infusion. Most hospitals do in fact have an infusion center - but it is often an "after thought", a place to provide hydration to patients, a facility where blood ins transfused or a place where patients without insurance receive antibiotics - typically space that is highly underutilized. Probably not a single CEO, Administrator, Vice-President, Director or Manager in the hospital industry today would say that they are not concerned with reimbursement. Finance departments across the country are asking management to reduce spending and to find ways to reduce their budgets. The pharmacy budget is often a target for reduced expenditures. Today, complex biologic drugs, antibiotics, and lifesaving orphan drugs are causing pharmacy budgets to grow dramatically. Expensive products like Remicade Infliximab, Orencia abatacept, Cubicin daptomycin, IVIG and others seem to be causing pharmacy budgets to expand dramatically. Many pharmacy leaders are concerned with these increases, consequently they have asked staff to pare down expenditures on complex products, to find alternatives such as self injectables or to utilize a specialty pharmacy for these costly products. However, many in the pharmacy department, finance and management fail to realize that when these products are provided in the outpatient setting they ARE reimbursed. Outpatient Infusion Centers are NOT impacted by DRG pricing or per Diem case rates in the way inpatient services are reimbursed. That's right - when you shift to the outpatient setting the place of service changes and the reimbursement, even for Medicare is different. Clinical Integration: Coordinates care across the continuum of services. Emergency department volume decreases - decompressing work load in the ED. By increasing the efficiency by freeing up additional space for more acute cases. Patients not sent to the emergency department are much less likely to be admitted saving valuable inpatient beds for more complex patients. Patients today often have large deductibles and co pays for Emergency department and Inpatient admissions. By sending the patient to the infusion center the patient often has reduced financial exposure. Managing a "population" sounds daunting, but in todays environment IDN's have the ability to work with their employed physicians to provide the systematic approach to health. For example, GI Bleed is often an admission that is either denied or not payable for the duration of the admission resulting in decreased revenue. By taking a proactive approach and treating patients with chronic disease such as Crohn's Disease with Remicade infliximab patients can significantly reduce their admissions. Although the product is costly it can still result in a positive outcome, particularly with the goal is to help the broad population. Imagine reducing the denials for GI bleed and how that can impact revenue numbers. 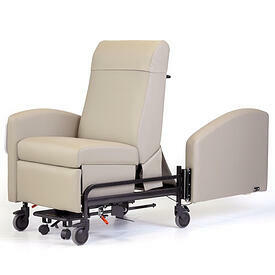 Infusion centers are the ideal setting to provide these complex and expensive products. The caring staff of the infusion center takes care of these chronic patients and can facilitate their care and coordinate activities with their Gastroenterologist. The verdict is still out on ACO's but most hospitals anticipate that there will be bundling of payments that encompass the entire care of the patient (both inpatient and outpatient) in the future, and that payment will be based on the performance of how their patients are treated and the corresponding outcome. Infusion Centers are an ideal mechanism to help manage and coordinate this care. Think of the previous examples of both acute (cellulitis) and chronic (Crohn's disease) and how taking a strategic approach helps manage the care. Not only can you utilize the HOPD facility for mitigation of admission, but also for decreasing the length of stay. Medicare does not cover home care, so those patients with infection that are admitted can often be sent home early, with q 24 antibiotic therapy not only do you save the facility money by reducing the length of stay, but you also will likely mitigate nosocomial infections. The strategy behind developing a successful infusion facility should be easy, our team can help you develop a plan that is both efficient and effective. To learn more about how your facility can benefit by taking a deliberate approach to infusion therapy visit our webpage http://www.huizenga-consulting.com/infusion-center-consulting-start-up then call us for a free 30 minute consultation. We can walk you through our approach as well as share references. We know that health care varys dramatically from state to state, but also, within each state there are various factors which will impact the opportuinties for physician referrals. As more and more physicians are acquired by hospitals they may or may not have the latitude to refer to an outside organizations. At the same time, we know that as hospitals continue to grow, there are significant opportunities to help practices become more efficient with infusion (by aggregating infusion patients to one center - either hospital based or provider based) as well as for hospitals to utilize their physicians more efficiently to enhance population health goals, mitigate readmissions or even to develop strategies to avoid an admission. Infectious Disease Physicians - Consultative services in the Inpatient Setting is where they typically spend most of their time, but after they make a diagnosis they recommend the patient receive IV Antibiotics inpatient or potentially outpatient. If they have their own infusion center - they're probably not the right group to target. Gastroenterologist: Similar to Rheumatology Gastroenterologists often use infused products to treat diseases such as Crohn's, Colitis and other diseases. Depending on the market, there may be opportunities to work with smaller groups or individual providers. Even for larger groups thay may make referrals to your infusion center. Evaluating the margin based on the "typical dose" for your patient - often multiple vials of a product will be required. Evaluating the total cost to deliver the product is important as these products can be very expensive. Make sure that you have the correct J-Code to bill to product correctly - erroneous coding can cost your center a significant amount of money. Create "slots" for blending complex biologic drug patients with relatively routine antibiotics or rehydration. Today many hospitals are being asked to review cost centers and reduce expenses. Hospital Outpatient Infusion Centers are often under this scrutiny to cut costs. Infusion center managers are challenged by this request because more and more expensive drugs are being used in the infusion center setting. This brief article will help you understand some of the pitfalls hospitals typically have with infusion centers as well as some ideas to sustain and grow profitability in the Hospital Outpatient Infusion Center or HOPD. Hospitals are employing more physicians - hospitals need to take a systematic approach for caring for complex patients with chronic disease such as multiple sclerosis and Chrohn's disease and others. Infusion centers can bridge that gap in the continuum by transitioning patients from inpatient to out patient quicker and reduce length of stay. 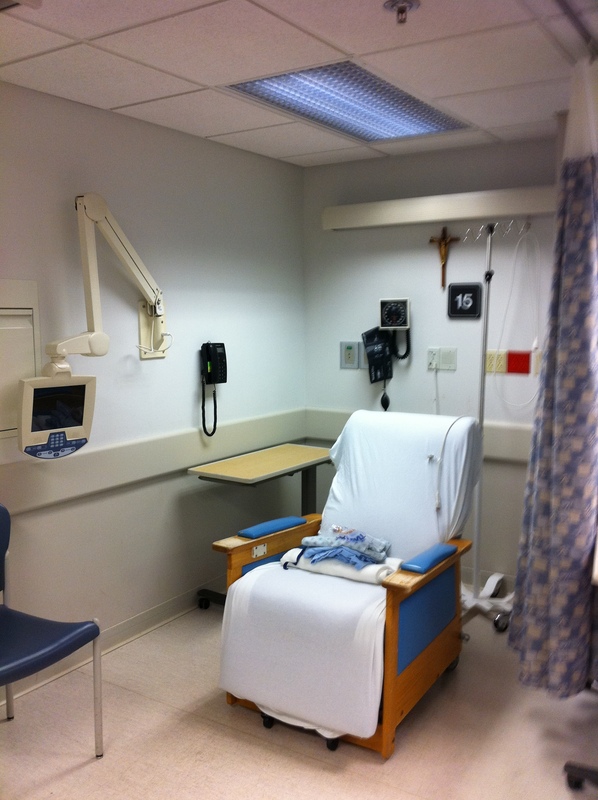 Infusion centers can also be part of an admission avoidance strategy. Chronic disease requires chronic management - hospitals are equipped to provide comprehensive care - if the care is provided in the outpatient setting costs are lower. providing care to patients in the outpatient setting keeps costs down for both patients and the hospital. The pharmaceutical industry has a large "pipeline" of products - many of these products will require infusion. Should you consider an infusion center? Make sure you know your market place. I tell my clients that "all health care is local" have a solid understanding of the service gaps in your community. Don't develop services that compete with the services a large referring physician provides and make sure you create a service environment that helps your patients, your community and your hospital. The #1 reason why hospital based infusion centers are not profitable is that they lack the resources to verify the patients insurance coverage - but there are 3 components you need to evaluate prior to infusion: Verification, Eligibility and Pre-Authorization. Verification: Does the patient have insurance and what other key information do you need to know about specifics of their coverage. Patient Insurance can terminate in the middle of a month or at the end of the month for various reasons - make sure you know they have coverage. Pre-Authorization: Does the patients insurance requirepre-authorization of this drug? If so, make sure that the patient meets the requirements of the carrier, be prepared to share patient records. In some cases you may need to "prove" failure on certain other products. Pre-Authorization is a precise process - if the submitted claim does not match the product pre-authorized the claim may be denied for example IVIG is a category not a product. If they patient needs IVIG, make certain to pre-authorize the correct product i.e. Carimune, Flebogama, Gamunex, Gammagard, Octagam, Privigen etc. For example I was recently working with a hospital system, we conducted a revenue cycle audit for the hospital and identified that IVIG was not being authorized correctly - a spot audit of 30 IVIG claims indicated that charges were generated of over $236,000 but actual receipts received was less than $7,000 - the primary reason for denial? Lack of authorization, or specific product authorization. Revenue Cycle Management is critical to operate a successful infusion center - the revenue cycle starts with Verification, Eligibility and Pre-authorization. If you are not sure how this process works, make sure you connect with your liaison from the central billing office or the finance department to learn about what you can do to ensure a great process for your department, the hospital and the patient. If your not sure how your center is performing - consider a revenue cycle audit - our team can provide you with the assurance your systems are working, or help you understand opportunities for improvement. The #2 reason why hospital outpatient infusion is not profitable is the fact that infusion billing is so complicated. The pharmaceutical products are shipped in various size vials and they are billed in various increments. Know your payors and make sure you know how they expect to receive these complex claims. Correct configuration is critical. For example, we recently audited a hospital system that was transmitting claims as if they were a commercial payor - we identified over 4 thousand claims that needed to be resubmitted for total charges of over $20 million dollars. Dr. Smith - your patient is not progressing well with the antibiotic you prescribed, Would you like one of our staff to identify alternative therapies or how would you like us to handle this? Dr. Smith - your patient completed their course of therapy as you prescribed, all is well, thank you for allowing us to treat your patient. Today, most doctors appreciate a quick fax or e-mail that their patient is doing well, yes compliance is a part of all of our lives so we send the voluminous documents - but think of this a a customer service opportunity. Hospital charge masters are typically updated on a regular basis (annually) but the volatile drug prices typically do not work well in that environment. Make sure you know what your drug acquisition costs are, what the reimbursement is by payor and what Medicare and others pay based on the HCPSC reimbursement. I was recently reviewing a hospital system and identified that there were a number of drugs that were being billed less that what Medicare was paying. Not only did this mean that they were not getting reimbursed correctly for Medicare, but their percentage of charges payors were reimbursing less than the Medicare rate. As you might expect there was a substantial negative margin on these products. After reviewing the charge master for a number of other products it was determined that by setting the correct fee the system could realize more than $12.9 million dollars in additional charges and actual revenue capture would be more than $6 million dollars. The products that are infused typically represent the majority of the profit. Because of the complexities of hospital accounting, those two revenue sources 1) Professional Services and 2) Pharmaceutical Products are not "merged" into the one cost center. Instead, the pharmacy department often has revenue "mapped" to the pharmacy department. To learn more about how well your infusion center is performing, please contact us for a free 30 minute consultation from an infusion expert. Hospital based infusion centers are challenging, but infusion centers can and will likely be part of any hospital organizations strategy to reduce length of stay or to provide a venue to mitigate admissions. If you want to lean more about our consulting services, call us today for a free thirty minute telephone consultation. Hospital based infusion therapy is something nearly all hospitals provide. However most do not consider their infusion centers to be a service line or part of their core business. It's key to remember that Hospital based Infusion centers can be very profitable! 1) The revenue for a hospital based infusion center originates from both the infusion center professional services (Nurse charges for the hourly infusion charges) and from the pharmacy department (Revenue from the drug that is infused). Often administration looks at the infusion cost center and it is perceived that they are unprofitable, because typically this just includes the charges for the nursing time. The majority of the profit will be in the central pharmacy department. Infusion Centers can be profitable, but analyzing how profitable requires analysis of both departments. I recommend that an analysis of both payors and products be conducted to identify profitability. 2) Developing a methodology to ensure that the pharmaceutical agents your infusion center utilizes is critical. The hospital’s traditional methods of pricing pharmaceuticals can be challenging for the infusion center patients - patients are savvier these days and will compare your prices to other hospitals and to physicians. Also, with new complex expensive biologic drugs (monoclonal antibodies) I find that the traditional methods of setting fees often does not work well. Fees can either be too high or too low resulting in not maximizing profit. We can help with this type of analyses. 3) Knowing who will be sending cases to your infusion center is critical – each market is different and knowing who your referring physician is can help you to not only help care for the patient, but to reduce length of stay. For example, as patients are discharged from the hospital, hospitalist or infectious disease physicians can refer to the infusion center. 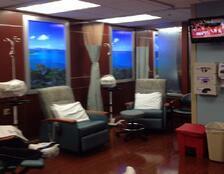 To mitigate admissions cases of cellulites or other infections can be referred directly to the infusion center. To find out how you can ensure you have a profitable infusion center or if you are interested in developing a hospital infusion center, call today to learn more. 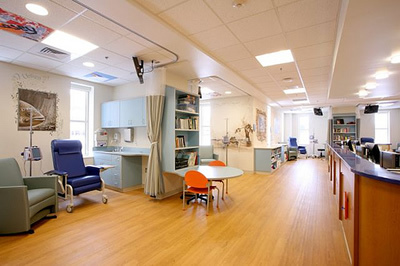 What makes a successful infusion center? Clients often ask me how can we grow or develop this business to be a center of excellence for my community, and program that is financially sustainable and maybe even profitable. Obviously having a good payer mix is helpful, having patients with insurance is good and a good revenue cycle process is important. But, perhaps the most important component to a highly successful infusion center is ownership. No, I’m not talking about equity stakeholders but rather 1) Ownership of the Problems 2) The Processes and 3) most of all, ownership of the Patients. Sometimes it is difficult to see if an organization’s staff has real ownership. If processes are moving swiftly without issue you might assume that there is ownership, but there is now guarantee. Sometimes it is easier to identify organizations that have staff that do not have good ownership. Have you ever been told “I don’t know”, or “It’s not my job”, “I’m sure somebody could tell you, just not me” Compare that to “I don’t know, but I’ll make sure I find out for you” – it really comes down to providing not just good but great customer service. Medical practices are complex organizations, hospitals are even more complex. Just because an organization is complex does not mean that it cannot provide high quality service and high quality customer service. I work complex hospitals and practices all the time. It does not take much observation to find out if staff is taking ownership. The Problems: Let’s face it, in complex systems there will inevitably be problems some of them very challenging. In infusion medicines problems can range from not having the correct authorization for a medication to not having the right supplies. Most of the time, there is a way around the problem that will still allow for the patient to receive the medication they need in a timely manner. The solutions often are with the nurse or medical assistant that has the “can do attitude” that makes the delivery of the drug a reality. The Processes: The process of infusion medication often starts with a complex verification and authorization of insurance information. The process of treating the patient likely was started long before the patient arrived. Practices routinely review charts in advance of the patient, they anticipate the medication they will use and prepare the tube sets and other devices and supplies they need for their work. If the process of scheduling is not developed to specific drugs that are being infused there will be problems. Process problems are usually worked out by evaluating the work flow on paper – identifying the gaps in the program and reworking the process. 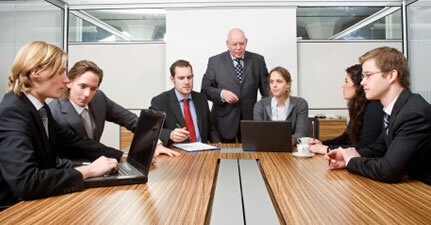 Systems consulting can help you and your team with process evaluation. The Patient: The patient as everyone knows is realistically where things can go wrong most frequently. For example, the veins are challenging, or the concerned nurse notices that an error from the pharmacy indicates that there may be a potential medication error. Quality staff is trained to know what to do, when to ask for help and when to “red flag” a process are critical. When you have staff that understands the patient and takes ownership of their problems healthcare becomes individualized. Put yourself in the patients’ position, it will not be long before you assess your team and if they have ownership! Ultimately, that is why most of us are in healthcare? Many people follow the growth of the pharmaceutical industry and see that there are many new biologic drugs on the horizon. Naturally, where there is an opportunity for growth the assumption of profit draws in a greater audience. 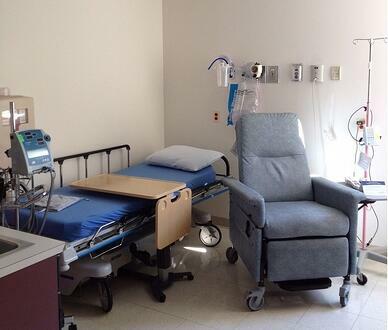 3 of the most common locations for providing infusion therapy are as follows..
1. Hospital Outpatient Department (HOPD) This is the traditional location that drugs have been infused, and are often comingled with chemotherapy, blood transfusions, biologics and fluids for rehydration. 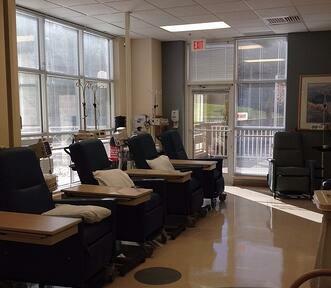 3) As more biologic drugs are infused the development of free standing ambulatory infusion centers are growing. These centers essentially operate as a physician office, yet are actually delivering care / services on behalf of their referring physician customers.The "Place of Service" defines how a practice or hospital will bill for these services. We can help you navigate through this complex process and learn more about the types of infusion, products infused and what you need to develop a sustainable model. Want to learn how you can learn more about developing an ambulatory infusion center, improve your hospital outpatient department or extend the growth of your practice infusion center? Call us today to learn how we can help your organization grow in this exciting market. Infusion centers today are challenged by many issues today from ASP + 6 pricing, increased costs, and more insurance rejections - it just seems like margins are getting "thinner". Here are 3 ideas to enhance your bottom line. Remember, to increase your profits you can either increase revenue or decrease expenses - typically there are opportunities for improvement on both the revenue and expense side. 1. Know your customer – in health care we are often challenged by the question “who is my customer”? Unfortunately it is often not clear. A nurse will almost always see the patient as the customer; the administrator identifies the insurance company as the gatekeeper of the money and therefore the customer. Traditionally the employer has carried the greatest burden of the cost so they can be a customer as well, but let’s dig deeper. If you’re running an infusion center and trying to garner additional patients often times the customer is a bit more tangential. Think of the case manager at the health plan that may recommend your center, what about the referral coordinator at the referring doctor’s office, or a sub-specialty physician who identifies your venue as a more appropriate place of service? As you can see, there are many customers, and it is important to make sure that they know they are important, that they receive the information they need to do their job (such as communication on the status of the patient, any change in meds etc). The insurance companies measure lots of things, but if you conduct survey’s or studies they might be interested in learning how you operate and in the long run refer more patients to you. 2. Develop a process to manage and maintain the eligibility of patients, and verify that insurance before each visit. Many of the drugs infused at your facility are extremely costly many biologic pharmaceuticals or orphan drugs can cost several thousand dollars. We try to encourage front desk staff to remember a) Verification – that they have insurance and b) Eligibility – are they eligible to receive this product. Insurance companies have developed protocols to save the plan, the patient and the employer money – unfortunately, that does not always fit with your treatment plan. So, even if a patient is eligible, develop a strategy to ensure that each patient is eligible for the treatment before you begin the infusion. It may not feel like you’ve developed a model of efficiency, but in the long run your revenue cycle (the amount of time it takes to treat, bill and collect) will improve. 3. Create a Charge Master a.k.a. fee schedule that will help you identify if you will have a profit margin on the drugs you infuse. With the volatility of the reimbursement of drugs and the ever changing prices of pharmaceuticals you owe it to the organization to develop a charge master. First, identify 80% of the payers, likely that will be four or five insurance carriers. Next, compile a list of drugs and procedures that you perform in your facility. You can do this on paper, but due to the dynamics of this business we always recommend you have an Excel spreadsheet charge master (need help to configure this? Just send us an e-mail we’ll send you a free spreadsheet template with the formulas already built). Finally, you’ve got to find out what the carriers pay for their products and what your acquisition costs are. Of course you have to manage this whenever there are changes in reimbursement or acquisition costs, you need to update the spreadsheet. You will be surprised, once the spreadsheet is designed, the maintenance will really enhance the revenue at your infusion center. 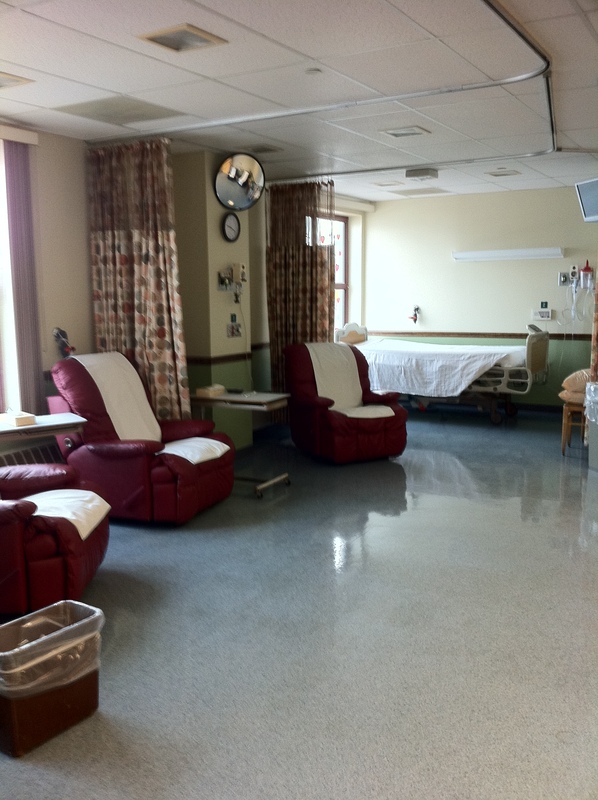 Do you additional ideas to improve your infusion center? Call us today for a FREE 30 minute telephone consult to learn how we can help you 1-866-222-4488, or review our website http://www.huizenga-consulting.com/infusion-center-consulting-turn-around/ .